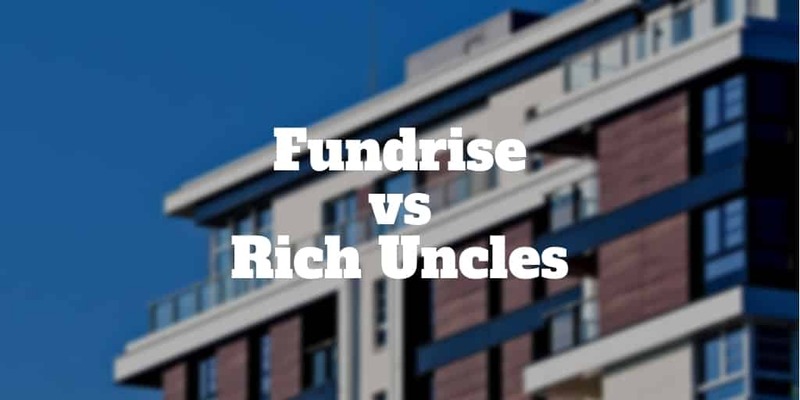 In this Fundrise vs Rich Uncles review, you will see how these online real estate crowdfunding sites compare on fees, minimum deposit levels, geographic diversity, service level, and more key factors so you have a clear idea of which company is more suitable to your financial aims. You don’t have to be an accredited investor to gain exposure to the real estate class with either company so the decision between Fundrise or Rich Uncles boils down to some key considerations, like whether you want exposure to single family homes or commercial real estate and the method of investing: self-directed IRA retirement account or standard account. We compare Fundrise and Rich Uncles in this review so you know precisely what each company offers… now let’s dive in! Rich Uncles vs Fundrise: Which Is Better? Before choosing between Rich Uncles and Fundrise, consider whether you want exposure to the real estate asset class. And while stock market investors may quibble with this statistic because of the starting point at the peak of the stock market in 2000, the main point is valid – real estate offers a way to diversify investments away from the stock market. For conservative-minded investors with an eye on protecting their nest-egg, the opportunity to allocate money into real estate is attractive. Before real estate crowdfunding sites came along, you would have to be a high net worth or accredited investor most likely to be able to afford the high upfront costs of real estate investing. What makes both Rich Uncles and Fundrise attractive is that they both make commercial real estate affordable and accessible for very low minimum deposits. Rich Uncles minimum investment amount is just $5 whereas Fundrise has a higher minimum of $500. Although Fundrise has a much higher minimum than Rich Uncles, the minimums are vastly lower than the down payments a commercial real estate investor would need to invest to buy a property outright. And a solo investor who wanted to purchase their own property would also need to source financing for the property, find tenants, and maintain the property. As a Rich Uncles or Fundrise investor, you do not own property outright but rather you own shares in a company that in turn owns the real estate. Only two types of fees are charged by Rich Uncles: Share Repurchase Fees and Organization & Operational Expenses. Theoretically, a liquidation fee may apply too if an investment went belly up. The Share Repurchase fees are only applicable if you sell your shares within the first 3 years. Anywhere from a 1 → 3% fee will apply then depending on the duration of your holding. Operational Expenses refers to the costs associated with your investment. 97% of your money is used to buy real estate and the other 3% is used to pay Rich Uncles, LLC for managing the REITs. Keep in mind that while 3% is taken out immediately, you receive dividends on 100% of your investment. The difference between Rich Uncles fees vs Fundrise fees is similar to the difference between buying mutual fund A-shares vs C-shares. A high sales load is charged upfront when you buy A-shares while C-shares incur smaller percentage charges but they continue each year forever. Fundrise fees of 1% are, on the face of it, smaller than Rich Uncles fees of 3% but keep in mind that the 1% fee is ongoing. If you plan to hold your investment for a long period then the upfront higher charge usually works out better than paying a small percentage each year. Rich Uncles operates triple-net lease terms with tenants so they are responsible for tax payments, insurance, and maintenance. The focus is on commercial real estate investments with brand name tenants like Chevron and Dollar General, as well as Student Housing REITs, which usually have predictable cash flow. Conservative investors are particularly well suited to Rich Uncles, which limits loan-to-value ratios to just 50% compared to the much higher debt levels used by many other real estate companies. The eFund purchases land and property, which it develops and sells to residential homeowners. The eREIT invests in commercial and residential real estate and has a higher minimum investment requirement of $1,000. Over a 5 year period, Rich Uncles estimates that your money will grow by about 50%. The calculation assumes that the annual dividends of approximately 7% are reinvested and property values appreciate by about 2% per year. By the end of year 5, Rich Uncles expects that a $10,000 investment will appreciate in value to $15,652. ✅ Low Investment Minimum: Just $5 is needed to invest with Rich Uncles versus Fundrise, which has a minimum of $500. ✅ Fee Transparency: Fundrise charges a 0.85% annual management fee plus a 0.15% advisory fee. 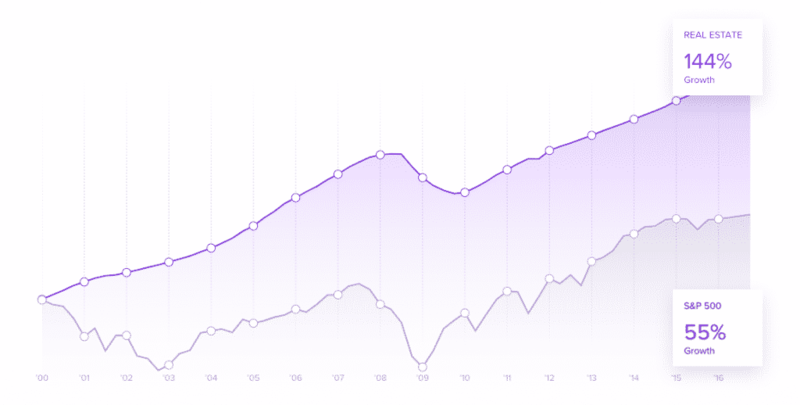 ✅ Monthly Dividends: Investors looking for passive income will be served better at Rich Uncles, which provides monthly dividends compared to quarterly dividends paid by Fundrise. ✅ Geographic Exposure: Fundrise has coverage in all 50 states whereas some states are excluded from coverage in the Rich Uncles portfolio. ✅ Liquidity: If you do need to pull your money out of Rich Uncles, you can do so, though you will be penalized within the first 3 years. Fundrise offers no secondary market. ✅ Self-directed IRA: It is possible to invest in Fundrise eFund or eREITs via self-directed IRA accounts. Joint accounts, trusts, and entities are supported at Rich Uncles however. ✅ Low Debt Exposure: Loan to value ratios are limited to 50% at Rich Uncles, which is the most conservative of all real estate crowdfunding sites in our research coverage. ✅ Pre-Funded: Both Rich Uncles and Fundrise investments are pre-vetted but only at Fundirse are they pre-funded. ✅ Non-U.S. Residents: U.S. residents as well as foreign investors are eligible to invest with Rich Uncles. ✅ Returns: Performance returns have been greater historically at Fundrise, though equally the risks may be higher during economic downturns. ✅ Highly Rated Tenants: Rich Uncles leases to highly rated tenants, including major corporations and respected brand name firms. Investors seeking passive income monthly will be better served at Rich Uncles compared to the quarterly dividends paid out by Fundrise. Conservative investors will probably find Rich Uncles more appealing too because loan-to-value ratios are capped at 50%, meaning reliance on debt is much lower than most other online real estate crowdfunding platforms. For investors with a greater appetite for risk, the returns historically indicate more upside at Fundrise, but equally the risks may be greater during an economic downturn. Fundrise also offers nationwide coverage whereas some states are excluded from servicing by Rich Uncles.